Let’s take a look at the impact a new coach with have at some of the following college football programs. I am going to base the new hirings on these different perspectives. Here is a look at some of the old faces in new places and new faces in new places and one old face in an old place. The Fans: They have to be elated about getting a coach that has had a successful run at West Virginia. You get a guy who knows the area and is seen as a “big name”. The Fit: Again is sounds like Holgorsen is very familiar with the area, can recruit Houston and Texas and his style will fit well. The Forecast: Has Holgorsen ever heard of the University of Central Florida? If you go undefeated at West Virginia you are competing for a national title. If you go undefeated as Houston you can make some cute “National Champs” t-shirts. The Fans: It’s never good to be the second choice. The fans may be able to talk themselves into being excited, but when you have lost five coaches in the past 10 years, it’s hard to get excited because this is nothing new. Miami, Boston College, Baylor, Georgia Tech and Miami. Those were the eventual destinations of the Temple coaches in the last 10 years. The Fit: Rod Carey is a midwest guy. Born in the midwest, played in the midwest, coached at schools in the midwest. I think he’s a no-nonsense guy that should do well in Philadelphia, but finding a entirely new recruiting base is going to be hard. 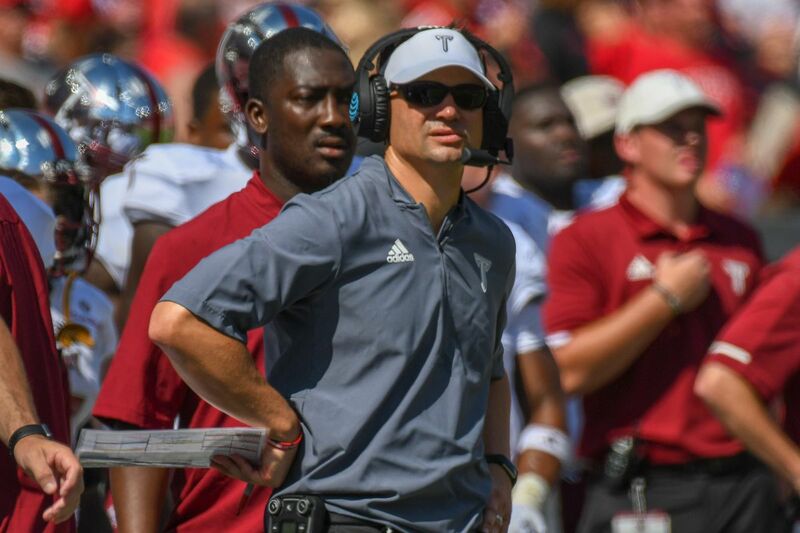 The Forecast: The MAC is a resume builder for coaches and his six full seasons at NIU was probably enough, there wasn’t anything more to do there. I think this is a small step with one eye on taking a big jump in a couple of years. Side note: My favorite Coach Carey moment was when they were on national television, I believe the MAC Championship game, and his kicker missed three FGs in the first half. The sideline reporter politely asked him on his way off the field if he would have any words for his kicker, “He’s a kicker, he’ll figure it out” he replied. Loved that. The Fans: Going crazy. The turnover chain guy was gone, they lost to Wisconsin 35-3 and now he is back. And we have transfers beating down the door at the U. The Fit: Perfect. A guy with Florida ties, can recruit and is a well respected defensive guy. The Forecast: They will be back in the national championship conversation, Diaz will build the program up and then he will end up getting fired for various NCAA violations. The Fans: Probably a little bitter about Holgorsen leaving, but Brown was probably the top “guy in a good program that wants to step up” coach. Like I mentioned in my “Coaches on Camping Chairs” post. He was my number one guy to be on the move and he left Troy. The Fit: West Virginia has not been awful in the Big 12, but I think Holgorsen saw the writing on the wall as far as Texas and Oklahoma rising back to their glory days making it hard to compete for a Big 12 title which doesn’t even guarantee a spot in the Championship game. The Forecast: Lots of eight and nine win seasons. I think the timing right now is tough for West Virginia. The Fans: They have to be crazy excited. 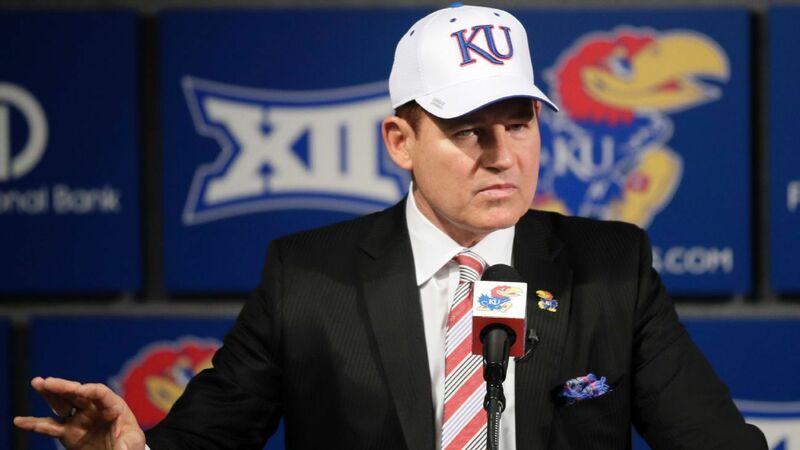 Get a guy in here that is fun to listen to, has had some success and is willing to take over Kansas football. The Fit: I think Miles might be able to adjust. I think he is crazy enough to go into Texas and get some top end recruits. This might work. The Fans: Nice, not thrilling, but nice. The Fit: He’s back and older than ever. The Forecast: The 67 year old will return the program to be remarkably adequate. Think Jared Birmingham Bowl good!